We’ll create the strategic framework, the operation and marketing plans and all of the required documentation for franchising your business. We always start with clarifying your objectives; if franchising doesn’t fit, we’ll show you your best option. 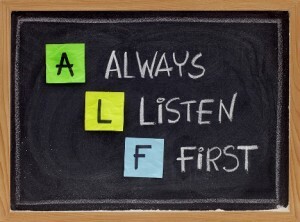 We always listen first. We’ll connect with you on a highly personal level in order to truly understand your specific goals and motivations. We then apply our experience, knowledge and strategic smarts to facilitate their fulfillment. What drives you to want to expand your business? Sure, you probably want to make more money, but there are usually more fundamental motivations at work; and, they are all critical. What is your exit strategy? By starting with the end in mind we can create the appropriate structure for you. Should your business be franchised? Not every business can or should be franchised. We’ll probe your situation carefully to determine if franchising is right for you and for your business. If it isn’t, we’ll show you what will work. Will your business model generate profitable results for a franchisee and for you? This is perhaps the most important point to address before any decisions are made. And, we help you get an answer. Is the success of the business sustainable? In other words, will your franchisees want to be associated with you for the life of the agreement? Will you and them make money today and tomorrow? Once we fully understand your business and where you want to go, we start the building process. We create all the operational and legal structure as well as the documentation required for you to franchise your business. After the project is completed we do not walk away; we continue to offer you the support you need. Ask our clients what you can expect. We are committed to your success, now and in the future. Ready to start? Find out if you are ready to franchise.